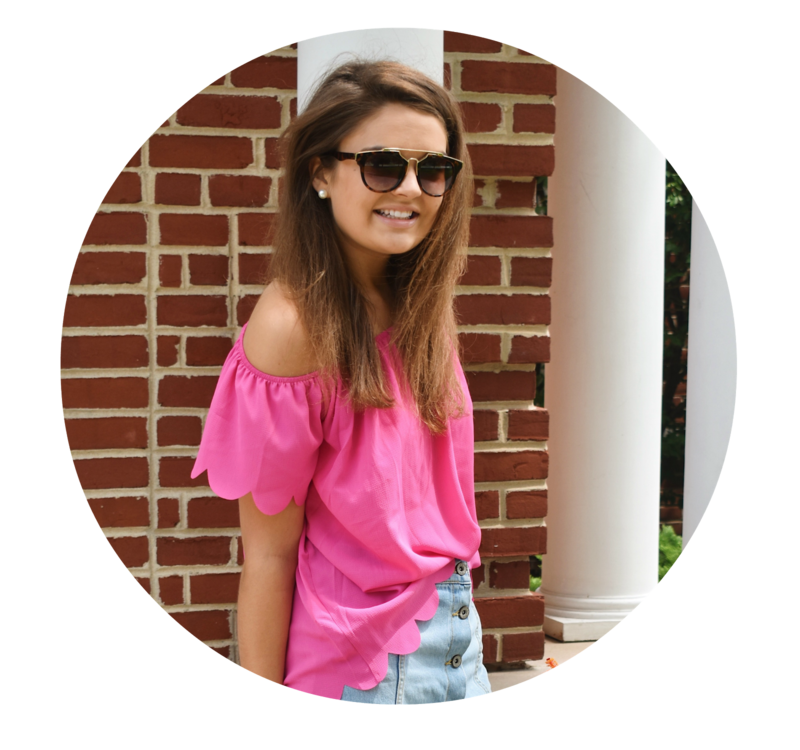 For today's health post, I thought I would try something a little different and instead of talking about a workout routine or a great juice, I'll explain my skincare routine! Keeping my skin clean and fresh is one of my priorities, especially since I don't wear makeup really. It usually stays fairly clear since I try to stay out of the sun, apply lots of sunscreen and drink tons of water. Lately, however, it's been kind of out of control because of the crazy humidity and the amount I'm sweating (thanks, tennis!). Below I'll walk you through a few things I do to keep my skin in tip top shape. As far as washing my face goes, I really only do it on a needed basis. Right now, for example, I wash my face with my favorite Cetaphil cleanser when I wake up and right before I go to bed, otherwise my face gets fairly oily. In the winter, though, it gets drier so I usually just splash my face with water when I wake up. I seriously cannot rave about Cetaphil enough - it's super light, smells great and gets the job done whether you have dry or oily skin. The brand also launched a cleansing wipe recently as well! The number one reason I love their line so much is that it is amazing for sensitive skin like mine. 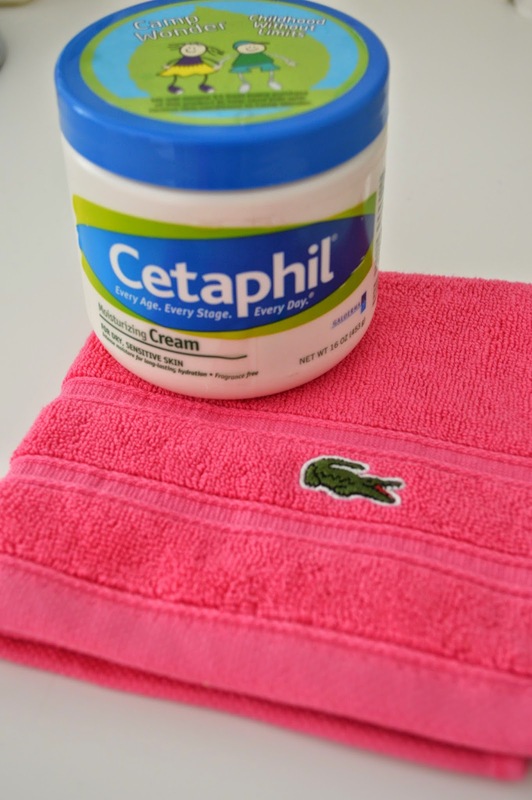 I usually break out with anything too tough or oily, but Cetaphil does the trick! As far as general tips to maintaining clear skin, I recommend drinking lots of water (#basic), eating fruits and veggies with high water content like watermelon and cucumbers, and exercising regularly but washing your face right after. The worst thing you can do is let the sweat sit on your face for long amounts of time because it will leave too much oil causing you to break out. This is where the wipes come in handy my friends! Now I'm dying to hear: what is your skincare routine? Yay! You did the skincare post! I'm so excited! I've never used Cetaphil products before, but I've heard amazing things about them, I'll have to give it a try! 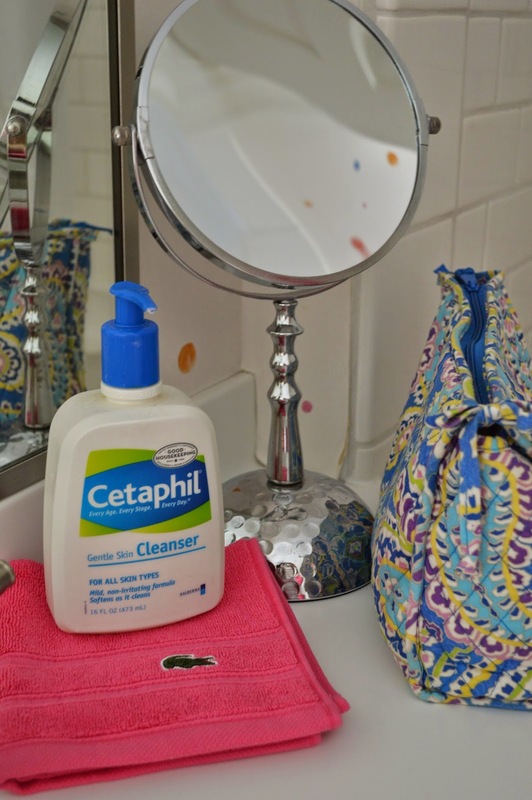 I love hearing about other people's routines - cetaphil really is a great product! Happy Thursday! Skin care is always a hot topic for many, because everyone wants to have a clean and fresh look at all times. And it’s not difficult to achieve, what with all the different skin care regimen available in the market nowadays. The only thing to think about it is it's effectiveness and your skin's reaction to it. And I’m glad that you no longer have to worry about this, because you already found a regimen that works for you. I love Cetaphil too! Great for sensitive skin ladies & so inexpensive!